The time for magic moments in the surroundings of the Summererhof is the spring awaking, when days start to get longer and the valleys become green while the peak of the Dolomites are still covered with snow. For example when the first blossoms of the apple trees opening up or the first warm sunrays of spring are touching the alpine meadows. 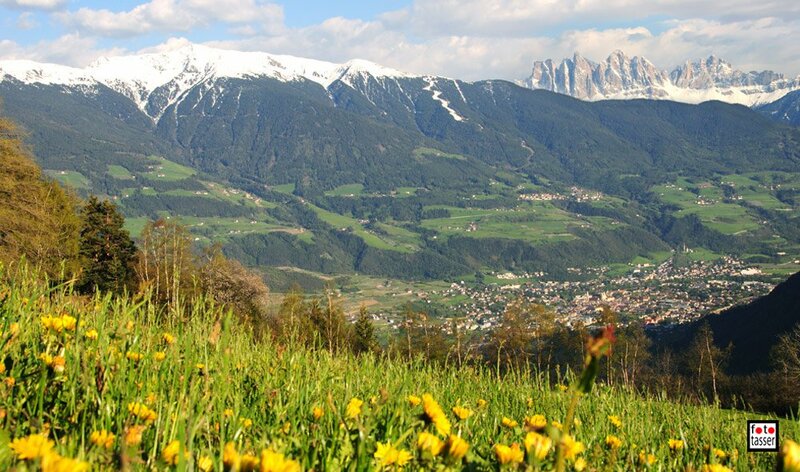 Spring in the Eisack Valley is clearly one of the most wonderful experiences, which South Tyrol has to offer. Where else is it possible to go skiing in the morning and enjoying a sunbath on fragrant alpine meadows in the afternoon? The impressive monasteries of Neustift or Säben Abbey are also rewarding destinations for a day trip. If you once had the experience to enjoy the spring in Eisack Valley, then you know why this region is considered as the greatest orchard of Europe. Thousands and thousands of apple trees, within the widely known apple-plateau, as well as in the surrounding area, are starting to bloom in April and covering the entire valley with a fragrant veil. The mild climate and the fantastic panorama are ideal for extensive hikes and charming cycle tours. 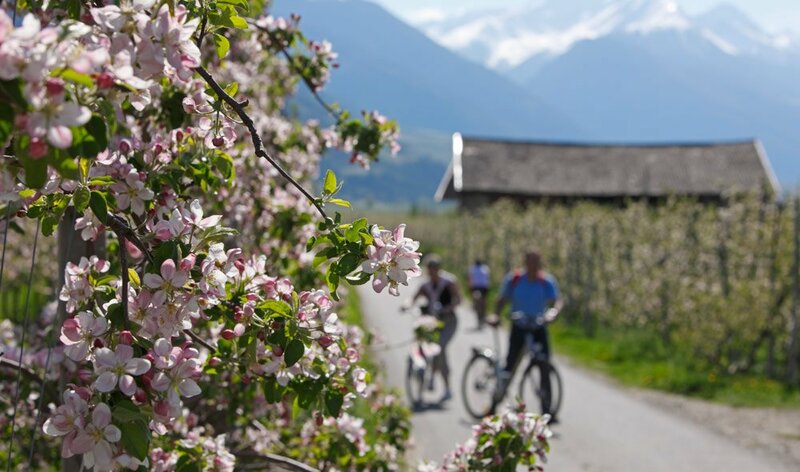 The highlight of the spring awaking is the annual apple blossom festival, joined from visitors from all parts of South Tyrol. With a festive procession, dancing and singing to celebrate the end of the winter season.